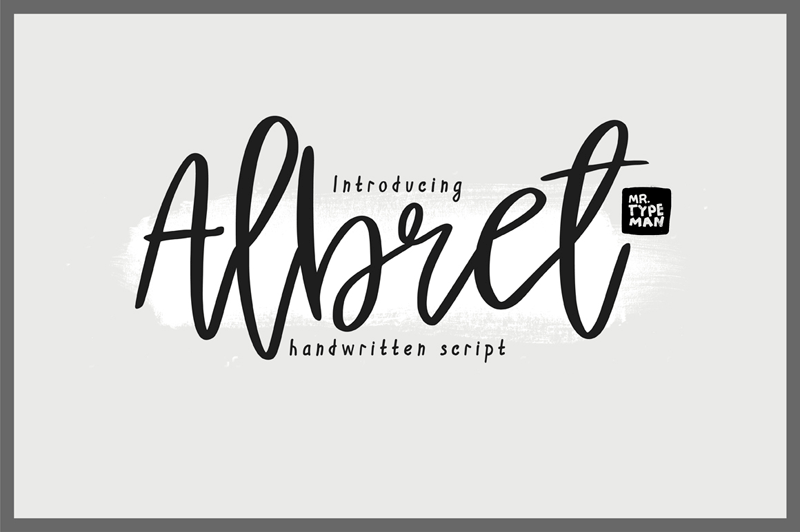 Introducing my new font Albret with its pleasant and elegant style. If you want to add a certain charm, appeal and allure in your projects, Albret is just what you need. Full version of Albret comes with uppercase, lowercase, standard punctuation and special letters for most of the European languages.